Sales Agents/Affiliates associated with the company can be recorded in the system very easily using the below few simple steps. 2. 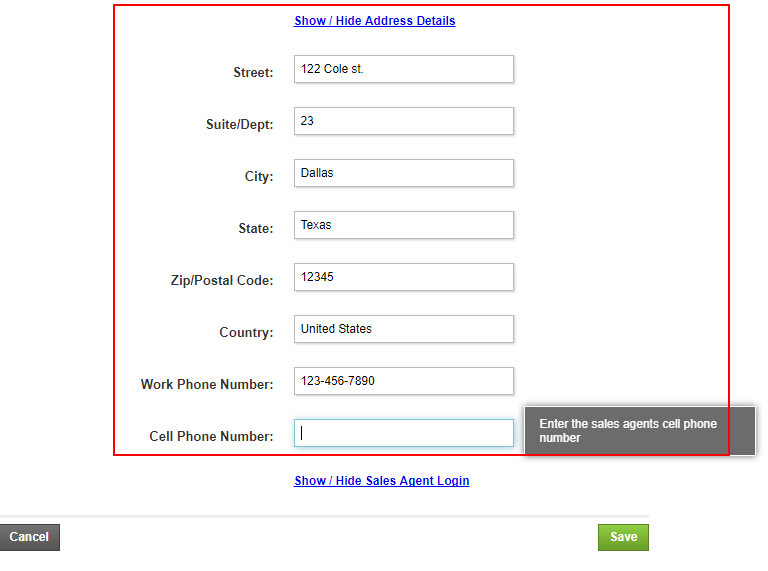 Click on Create a Sales Agent. 3. Fill in the Name and email for the Sales Agent. 8. If the sales agent belongs to a Sales Agent Group. If the Sales Agent's contract is for only one of the available commission plans, select the appropriate plan from the drop down list. 9. If the Commission Plan varies by customer and order, leave this option blank. You will be able to assign the commission plan at the time of order creation.